Nestled amongst the mountains at an altitude of 6,000 ft, Saur is a conceptual geo-location that I can safely say, is the first village of Life Lessons. It has nearly been a month since we returned from this beautifully painted township and it now seemed like the right time to ask and reflect on the empirical gatherings from our short visit there. The reason I say this is because with time having lapsed, the experiences that have truly stuck with us can be pondered over. I spoke to four other mates who I befriended in the lovely November weekend and asked them a simple question: What is the one life lesson you took back from Saur? I wasn’t completely surprised by the prompt replies as I was with the simplicity but diversity of the answers. One evening, right after an engaging dialogue on serendipity and fate, I bumped into Suraj who graciously agreed to indulge me in a thrilling conversation over a lazy walk. 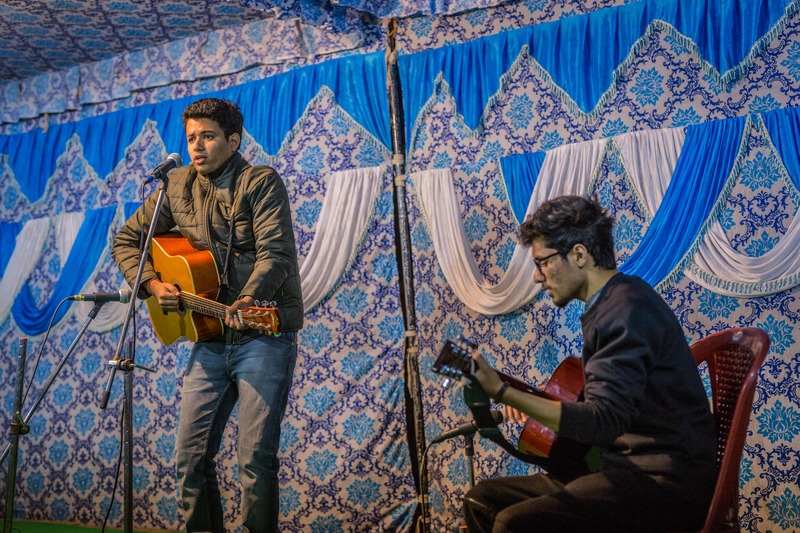 Suraj is a local Gharwali, hailing from Dehradun and trying to preserve his culture through acoustic music. He shared a fundamental learning with me: Always travel, go out, meet new people because great conversations lead to wonderful experiences. I could not agree more with him. In those three days, I was inspired and humbled. Each person had a story to tell, from the youngest to the oldest. 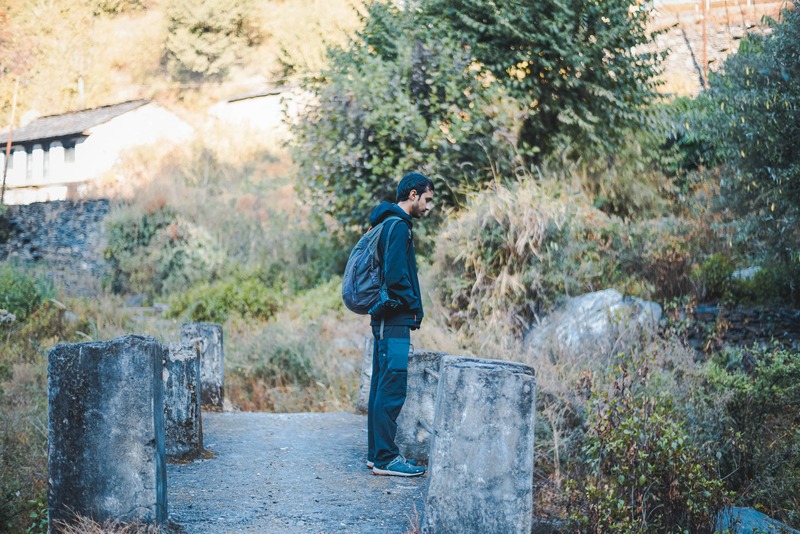 We had individuals narrating the most heart-warming stories of their incidents in teaching, writing, counselling, travelling, growing up, battling insecurities, living alone, failing and rising. It reasserted my faith in the fact that it may or may not be the place, but it is always the people that create the fondest memories. “Life is like food. The more you interfere with it, the more you take away from it.” Armaan, a student of Economics and an ardent lover of food, had just this simple statement to make while expressing his take-home value. For city dwellers like us, every walk of life is competitive. We strive to create an impact on everything and on everyone, forgetting the importance of doing the same for ourselves. We take little things in life with more gravity than is needed. In the process, at a young age we kill our spontaneous sides and adopt the ‘practical’ way of living. The locals of Saur treated each day with an equanimity that made them rise above the fear of uncertainty. When asked about aims and ambitions, they limited themselves to the goal of unlocking happiness, satisfied and at peace with where they were and what they were doing, regardless of their limited resources. The village of Saur has a dwindled population consisting of merely 12 families that doesn’t amount to more than 70 odd people. The elders of the village passed on a humbling advice to us younger ones – the world is a pot; nurture it right and the growth will be endless. However, never forget that home and family are the roots that enable you to keep your core strong. It was these pearl) of wisdom that stuck with Naveen (better known as Macro), a budding photographer and an avid traveler. These veterans have seen several youths leave their homes to never return, yet climb the great mounts of prosperity. They assured us that it is the values that they have kept intact that have led to this ascent. Where we come from, the people who bring us up, the principles they inculcate in us, form the very premises of our identity. A little bit of belief can take one’s dreams from the realm of imagination to that of reality. 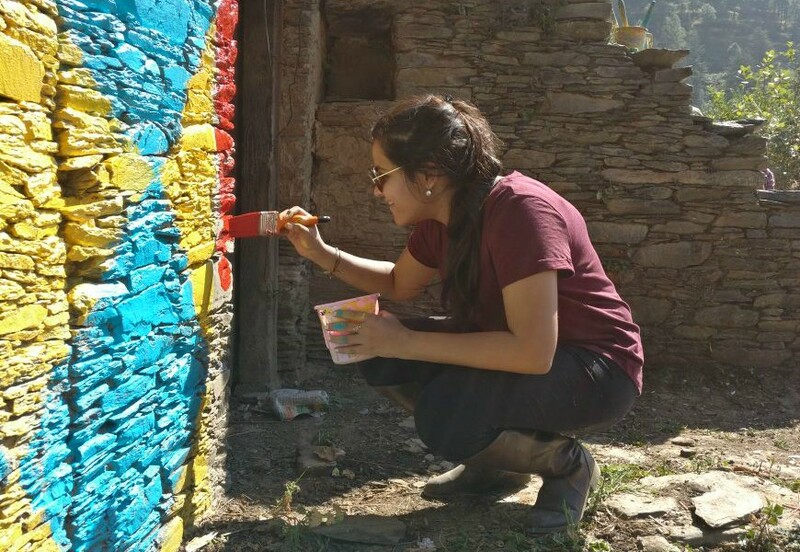 Through small treks, big conversations, tiny adjustments, and the Great Himalayas, Devanshi, a creative artist assimilated that one just needs to be daring enough to take a step forward. The only way to reach the top of the mountain is to be able to endure the climb. The message of encouragement for struggling trekkers was to keep breathing and keep walking. This helps to clear the head and take a moment to appreciate what is around. The sheer beauty of the natural surroundings, the magnitude as well as expanse of the mountains makes one realize that they are merely a miniscule sub-unit in the huge wide world but they still serve the purpose, which they decide themselves. This beautiful Sanskrit word translates to “The world is one family”. Saur felt like home; Pardon me, Saur feels like home. It has a way to connect with everyone. The people reek of unadulterated love. From Sabli Mausi and Vijay ji, all the way to Rani and Mukherjee (who are by they way buffaloes, just incase you were wondering), were looking out for us. They welcomed us joyously on the first evening with enthusiastic dancing around the bonfire that warmed our slightly tired spirits. They bid us farewell with blessings and good wishes, a heavy heart and undertones of saddened voices. My life lesson resounds with this affection and emotion that the villagers extended towards mere strangers like us. Well I guess, a person is only a stranger if you estrange them in the first place. Their warmth is etched in my memory but more importantly; it is sowed in my heart!